The aim of value investing is to identify stocks that are undervalued and which can be expected to produce an above average return in the future. And the message from the history of investing is clear: if you successfully pursue a value investing strategy over the long term, you will earn an above average return on your portfolio. The goal of The New Value Investing is to help you identify undervalued stocks and teach you how to build your own successful value investing portfolio. Added to this, it is important to understand that value investing is inextricably linked with behavioral finance, and research advances in this area in recent years strengthen the case for value investing. The author explains how stock prices are determined by emotional crowds, how this leads to mispriced stocks and opportunities for the value investor, and how you can harness the insights of behavioral finance to improve your value investing approach. - How to remove emotion from your investment process. - The essential elements of portfolio construction. - What a value investor should observe in the wider economy and the market. - Where to find investment ideas. - How to read a company's financial statements from a value investing perspective. - Dividend valuation, earnings valuation and other valuation techniques. - How to undertake a full valuation analysis, with two complete worked examples of stock valuation for real-life companies. - What professional value investors at investment funds analyse and how they make their decisions. Value investing is within everyone's reach, so why doesn't everyone use it? The key is patience. The approach works over the long term if you stick with it and the result could be extra hundreds, thousands or millions in your portfolio at the end of your investment horizon. 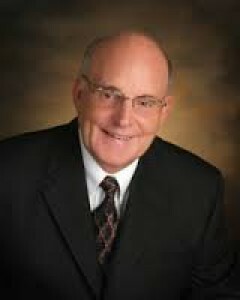 Dr. Howard is co-founder of AthenaInvest, a Greenwood Village-based SEC Registered Investment Advisor. He led the research project that resulted in Strategy Based Investing, the methodology which underlies AthenaInvest's investment approach. He oversees Athena's ongoing research, which has led to a number of industry publications and conference presentations. Dr. Howard currently serves as CEO, Director of Research, and Chief Investment Officer at Athena. Dr. Howard is a Professor Emeritus at the Reiman School of Finance, Daniels College of Business, University of Denver, where for over 30 years he taught courses and published articles in the areas of investment management and international finance. For many years he presented stock analysis seminars throughout the US for the American Association of Individual Investors, a national investment education organization headquartered in Chicago. Dr. Howard has been a guest lecturer at SDA Bocconi, Italy's leading business school and at Handelsho/jskole Syd in Denmark and was a 2004 Summer lecturer in international finance at EM Lyon in France. He consulted with a number of firms, most recently First Data Corp and Janus Capital Group, and served for 10 years on the Board of Directors for AMG National Trust Bank N.A., a financial counseling and investment management firm headquartered in Denver. After receiving his BS in Mechanical Engineering at the University of Idaho, Dr. Howard worked three years for Proctor Gamble as a production and warehouse manager. He then entered Oregon State University where he received an MS in Management Science after which he received a Ph.D. in Finance from the University of Washington.